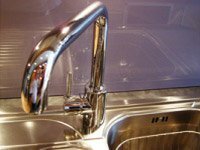 Sinks and taps are one of the most used and visually prominent components of any kitchen. It is therefore crucial that you spend time during the Silverbrow design process exploring the different options with your designer. 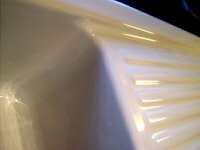 Are you best suited to the drainer on the left or the right hand side of the sink bowl? 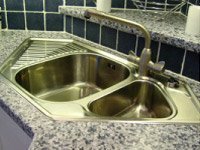 Dependent on your choice of worktop material, would you prefer the sink to be inset (mounted on top of the work surface), flush (mounted flush with the work surface) or undermounted (fitted below the worktop material). 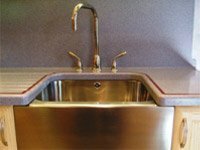 The material type and colour will set the visual tone to the area surrounding the sink. 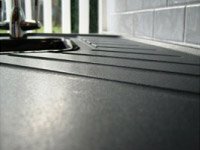 Your designer will help you consider the effects of materials such as Stainless Steel, Granite, Corian, Silquartz or Ceramic, as some of these materials have greater practical benefits than others. 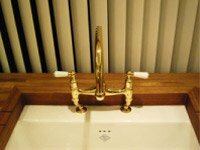 A particular style of tap can transform even a basic sink into something that looks more traditional or contemporary. 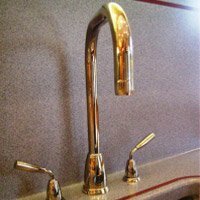 Colour: Chrome, Brushed Steel, Nickel, Pewter, Antique Bronze etc. Shape: Swan Neck, Straight Lever, Pillar, Bridge Mixer and so on. 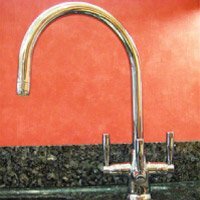 Would you like to incorporate a water filter into a three-way tap providing hot, cold and filtered cold water? Well known manufacturers such as Franke, Carron Phoenix and Villeroy & Boch are featured in our stunning showroom displays. 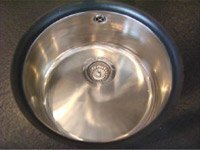 There is a wide array of size, shape, colour, material and fitting options on both sinks and taps on view. 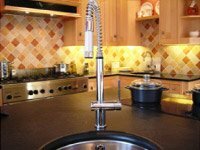 Once you have specified your sink and tap, your designer will then integrate them into your kitchen design, considering other linked variables such as the sink's location in relation to the bin, dishwasher and stacking area.